Maifan Stone is a special mineral rock widely used in alternative medicine to improve the metabolism of the human body, accelerate blood circulation and helping in the treatment for high blood pressure, rheumatism, various skin conditions and chronic gastritis. a great capacity of absorbing heavy metal ions. Using Maifan enriched water for cooking or preparing tea or coffee will make it easy to enjoy all the benefits. zinc, copper, molybdenum, and selenium. 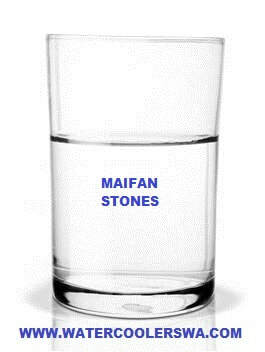 The Maifan stone helps you to correct the pH of the water can also be set up in such a way that both is too acidic and too alkaline medium is able to optimally in an alkaline medium. The Maifan stone water soluble ionized minerals and other elements can be easily assimilated by the body.